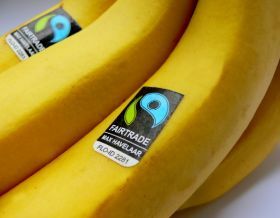 One Banana has announced that it will now be selling and sourcing Fairtrade bananas, as it officially joins the ranks of the world’s most sustainable, progressive and responsible food growers. The group's certification was issued by Flo-Cert, a global certification and verification body whose main role is to independently certify Fairtrade products. The Fairtrade certification approval process requires One Banana to guarantee a minimum price and a premium payment, which it invests back into the communities where it grows its bananas. By becoming Fairtrade certified, One Banana "further exhibits its commitment to the communities it supports by ensuring that Flo-Cert's relevant social, economic and environmental standards are being met". The group, which labels itself as 'the better banana company', is a family-owned business with operations in the US, Guatemala, Europe, Peru, Mexico and Ecuador.